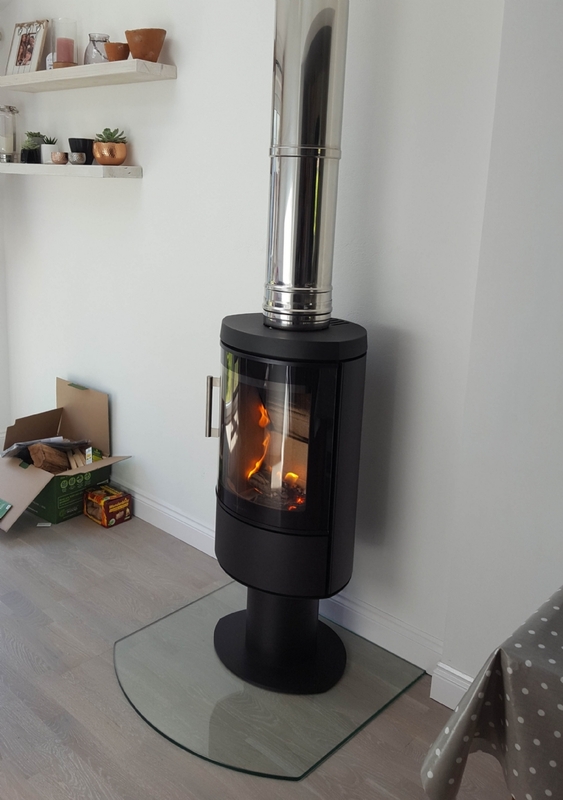 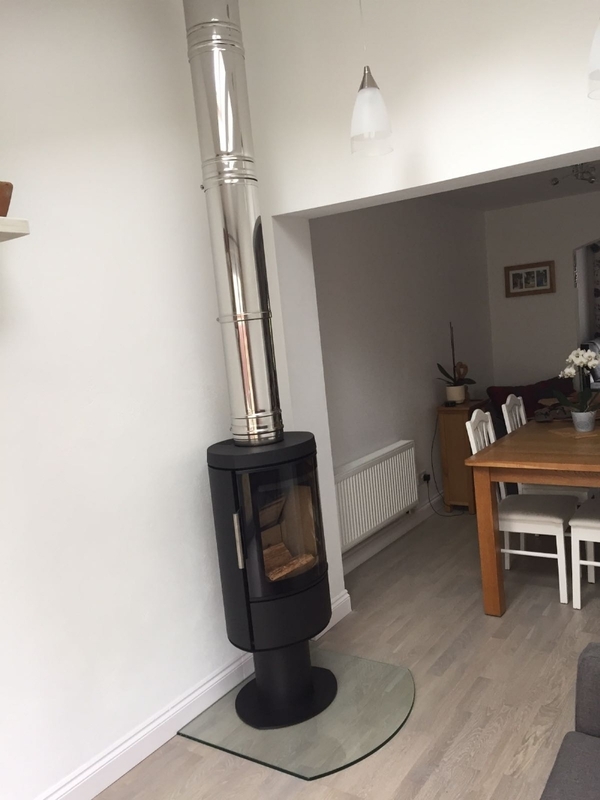 Hwam 2610 in Cornwall wood burning stove installation from Kernow Fires. 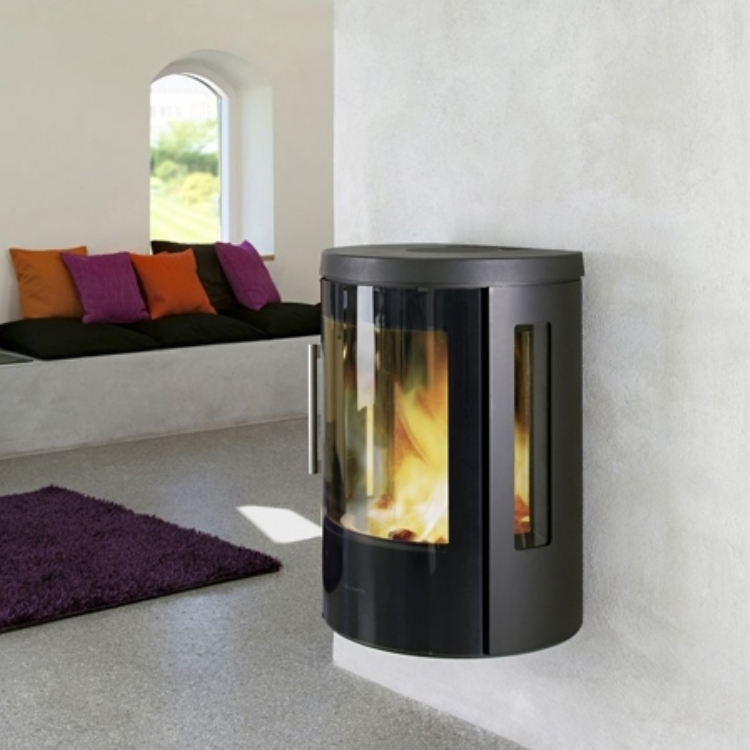 The Hwam woodburner is a very chic woodburner with three stunning glasses which enable to the fire to be seen from all parts of the large living area. 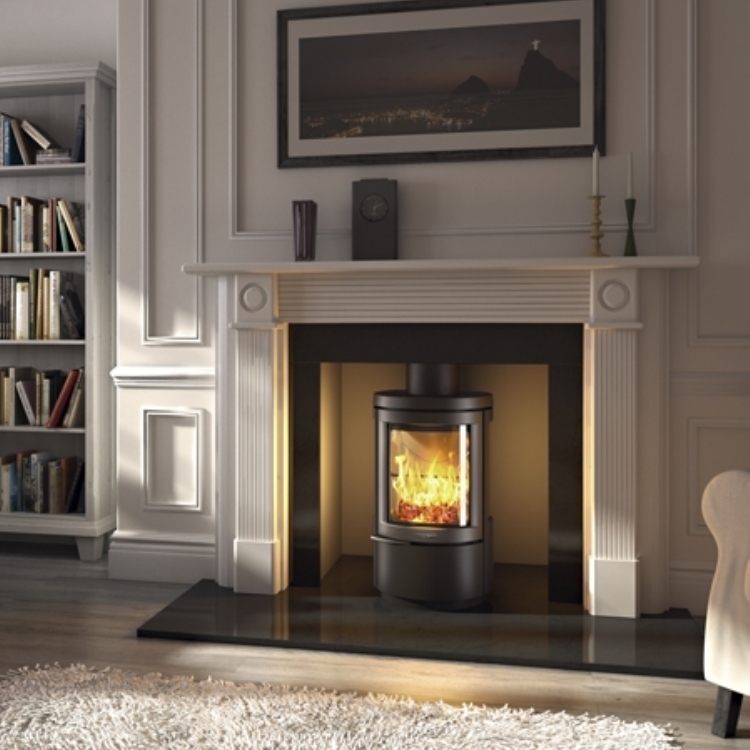 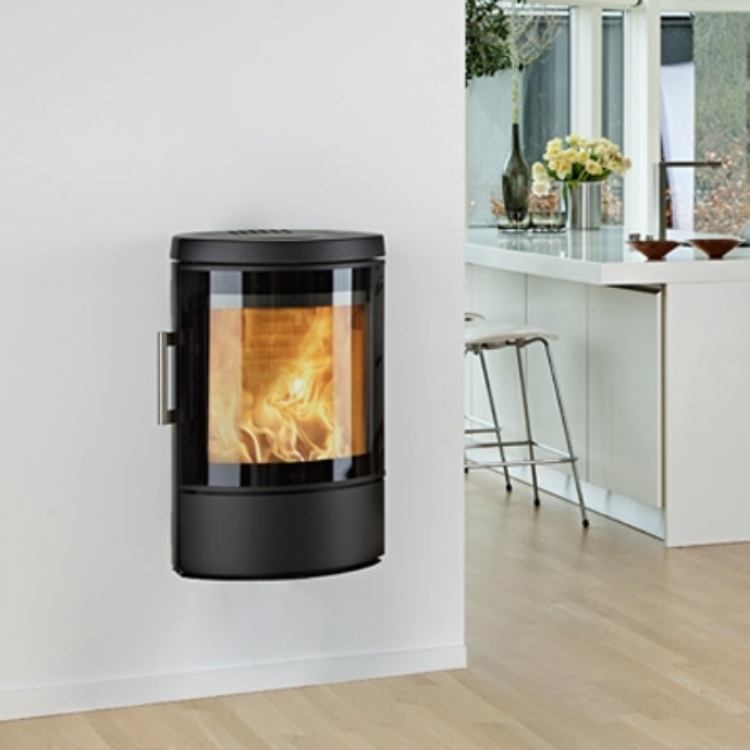 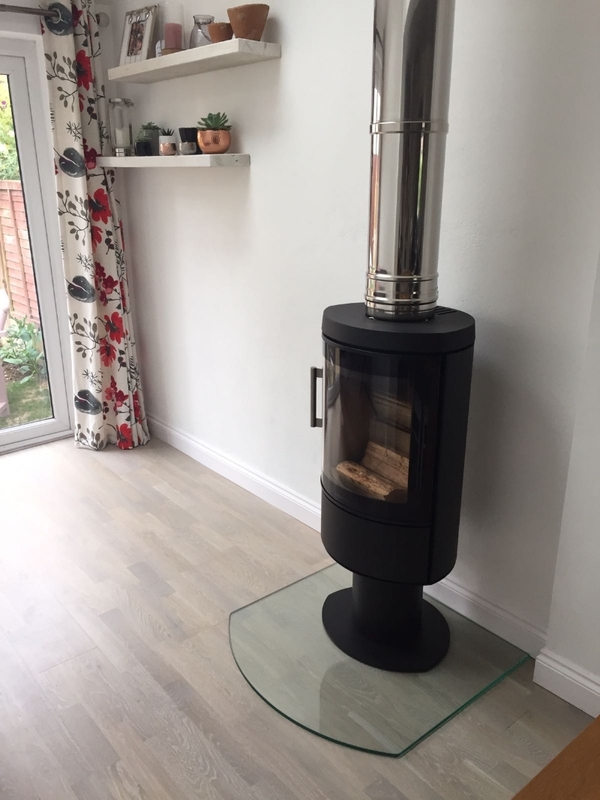 The glass hearth creates a pracitcal but unintrusive hearth and the stainless twin wall flue adds to the contemporary look.